I love lumene!!! They sold it at CVS for years by me and me and my sister swore by their beauty products. My skin looked incredible and then they discontinued it! boo! I hate when they discontinue things! Lumene is still available on the CVS website though... I'm impressed with how affordable it is for a natural skincare line. A lot of moisture sounds good to me. Great review! 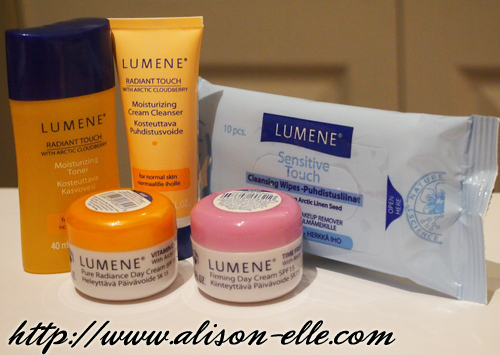 I've never tried Lumene, but I'd love to try the day cream! Don't know this brand, but seems lovely. Hi, I have been using the advanced bio renewal cell masque from cellnique for quite a while now, and i find the product to be really useful. My skin doesnt appear dull anymore. Cellnique has a wide range of other products as well. If you're a fan of facial masks, then you should try out their Japan Silk Mask as well. Though they can be a tad bit pricey,however, their products are worth every dime. Thanks for the recommendation! I've actually tried the Cellnique Advanced Bio Renewal Masque (reviewed here) but I haven't heard of their Japan Silk Mask before. I must say Cellnique products are pretty amazing! I used to battle with acne, blackheads and scars, but my skin has improved tremendously! :) Two thumbs up for their bliv' japan silk mask as i've tried them before.they are very generous with the essence content as well. I would definitely continue using this brand!